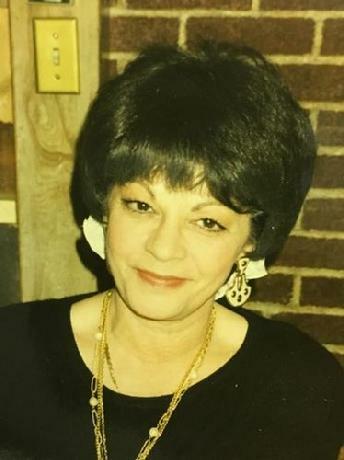 Florence M. Page, known to family and friends as either "Bootsie" or "Terry" was taken to be with the Lord on the Sabbath at 2:40 a.m. Saturday. Bootsie was born to Elmer and Flossie Spahr in Buck Run and grew up at the hotel on Route 901. Professionally, Terry served as secretary and treasurer for Page Financial Services, an insurance and investments brokerage firm founded by Richard Page in 1980. Always wanting a daughter, in 1986-1989, she became a host mom for exchange student daughters: Karen, Mexico; Tatiana, Panama; and Sandra, Peru. During this time, she became a local coordinator for YES. In 1988, she and Richard co-founded Pro-American Educational And Cultural Exchange and hosted Tamara, Ecuador; and Patricia, Mexico. Until passing, she served as Vice President, Co-director, Counselor to host parents, exchange and area reps and employees. All revered her a their other mom. But she always asked her sons to introduce her as their sister. She dressed, wore hare, and makeup as a young woman and acted half her age. When Richard met her, he saw the combination of Elizabeth Taylor, Sophia Loren and Jackie O. Every man from her doctor to the grocery boy was enamored with her and she told him about it. She attended local Catholic schools and graduated with honors in the first class of Nativity BVM High School in 1958. Terry was introduced to husband-to-be Richard Page on December 10, 1971, by her best friend, Helen Tebin, who worked for him in Pottsville. They married December 20th, 1974. Theirs was a covenant marriage to God with a pledge to forgive each other for every offence in advance of it being committed. From that day forward, Dan and Dave only addressed Richard as "Dad". Being baptized and confirmed Roman Catholic, they worshipped together as Catholics. Their current church is Holy Cross in New Philadelphia. She was married to John Antalosky and is survived by sons, David and Daniel; grandson, Ross; and granddaughters; Alicia and Jillian; sister, Dolores Mennig; nephews, Bobbie and Ritchie Long; niece, Brenda Mennig; cousins, Christine Lancaster, James Heffron and Raymond Spahr. David's wife, Michele, and son, Ross, reside in Hegins. To read more about what our friends and family thought of Terry, visit this page on our website.